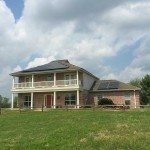 Literally DOZENS of people have experienced the joys of working with KW Solar. If you're one of the lucky ones to discover us, spread the love! 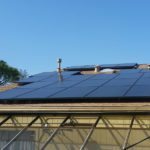 I was a skeptical about getting solar panels and whether or not it really would be a good investment for our family, so I was definitely looking for all the reasons not to get them. After visiting with Justin from KW Solar, and the detailed proposal package it was clear that this was a smart investment for us. We ended up getting 28 panels which should produce most of our electricity throughout the year. The first week (which was pretty cloudy and rainy) the panels produced 42kWh than we used, so I’m excited to see what they’ll do this summer! The process was easy, no out of pocket cost and we got a great rate on our financing. With the tax incentives and rebates we got a great deal on our panels and they will pay for themselves while helping us use clean energy!